After completing his B.A. in Philosophy and Asthetics, Mårten Thavenius began working as an interface designer for IBM and later as an independent web consultant and font developer. The comprehensive families Aptifer® Sans and Aptifer® Slab are the best-known font designs from the Swede. 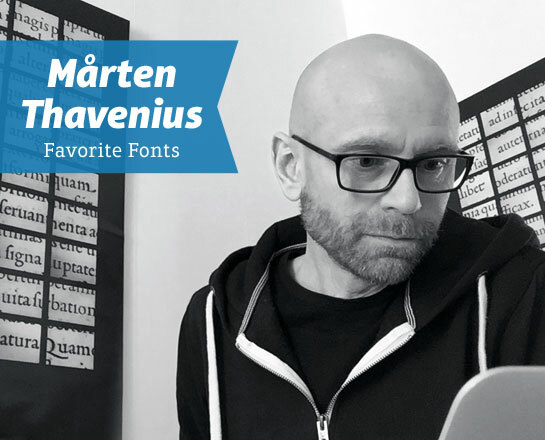 In the following, you’ll learn about some of Mårten Thavenius’ favorite fonts, which the designer has put together exclusively for Linotype.com. He also provides tips for their application. Veronika Burian has made a lot of great typefaces. Try out her Maiola for the next novel you set. You might want to use the Book weight if your paper doesn’t bleed too much. 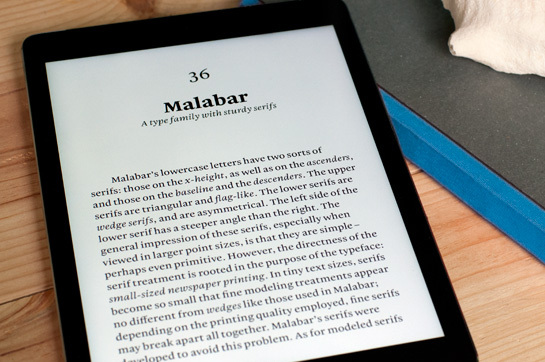 Although its many influences from the 16th century‚ Dan Reynolds’ Malabar has a large x-height‚ loose fitting and lack of fragile details which gives it the stability required for for e-books and the Web. It has a newspaper feeling to it and it is like strong coffee in the morning. Nadine Chahine’s Zapfino Arabic – made with Hermann Zapf’s approval – makes the Zapfino family an interesting meeting place between the Arabic and Latin scripts. The way Nadine worked with drafts posted in social media for review obviously turned out to be of essential value for the final result. When designers and branding folks ask me for advice about which gothic to use‚ Benton Sans is often among those I mention. It is well balanced and still has a lot of Morris Fuller Benton characteristics in it. This massive family contains a full artillery of styles to select from. Gerard Unger’s Swift has been a workhorse for newspaper body copy for a long time. A nice surprise‚ especially with the latest reworked version Neue Swift‚ is that it works very well for body copy on the web as well. And as always with Web typography‚ be kind to the user and set the text in large sizes – you don’t have to pay for the paper anymore. Trilby is a mind-blowing and well executed design by David Jonathan Ross. It uses a reversed stress which is uncommon in Latin type‚ but it is still very well balanced. Also be sure to check out Nina Stössinger’s upcoming reversed stress typeface Nordvest when it is out‚ the italics are amazing.